In an expert review, usability experts review a product or application based on established usability standards and guidelines. An expert opinion identifies major usability problems and possibilities for improvement of a product. 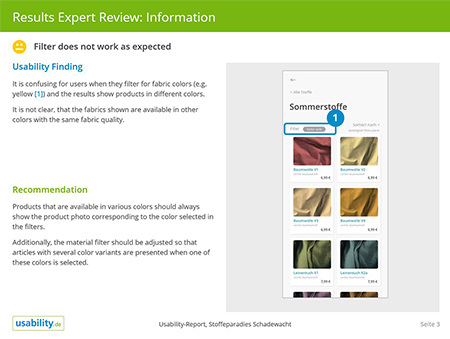 In an expert review, several experts from usability.de independently review your product. We apply a combined approach of a heuristic evaluation and a cognitive walkthrough. Depending on the focus we review the following: How well and how quickly can key tasks be completed? Are commonly used navigation principles adequately applied? Is the structure of the application understandable? Can forms be completed intuitively and is the search function suitable for the task? During the cognitive walkthrough, our experts put themselves in the perspective of a (new) user and as such review the most important use scenarios of your product. The results are then discussed and jointly evaluated. You benefit, above all, from the many years of experience of our usability experts. We not only identify the weaknesses in your applications but also suggest specific solutions for optimization – all in a very short time. In a cognitive walkthrough, several usability experts independently review the main use case scenarios from the user's perspective. We start by working with you to define the questions for the expert review. Based on the most important use scenarios, the experts run through your application and document critical points. All experts involved then discuss the results and suggest specific solutions for you. The expert review by our experts is based on usability heuristics, which in turn are based, for example, on EN ISO 9241 or on guidelines for accessibility, such as WCAG. Compliance with these usability criteria is needed in order to enable effective, efficient, and satisfactory user interaction. The experts document any deviations from these rules as possible usability problems. These deviations are then discussed and classified according to their severity (e.g., possible termination point). Through the combination of these two methods, weaknesses of an application are reliably identified. What constitutes a good Expert Review? The quality of an expert review not only depends on a systematic and methodical approach but is also strongly determined by the knowledge and experience of the experts and their knowledge of a particular sector and/or experience with comparable applications. We believe it is important to review every website, with its respective objectives and tasks, on a wholly individual basis rather than relying on rigid checklists. We are also happy to take into consideration, for example, your analytics data or any other information at your disposal in the review. 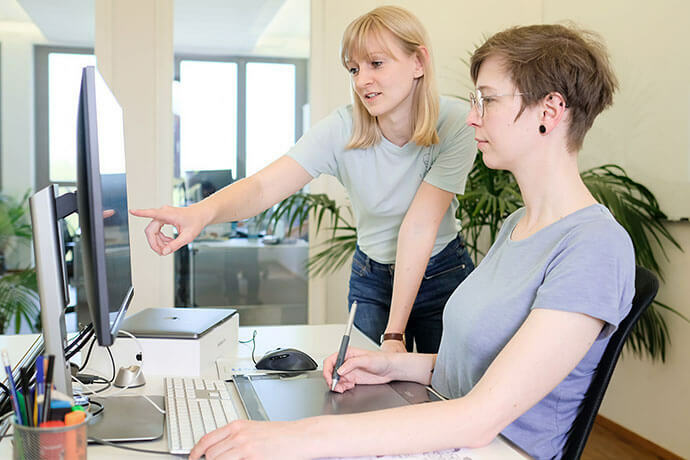 The experts at usability.de are complete experts with many years of experience in user-centered development of interactive products who have performed countless user tests with a wide range of test objects. 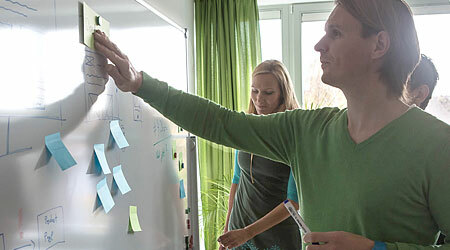 This special expertise makes the expert reviews by usability.de especially valuable. That's what our customers say. When do we recommend an Expert Review? An expert review is worthwhile both during new interface design as well as during further development (e.g., for performance improvement) of products and applications. A finished system is not needed in order to perform an expert review. 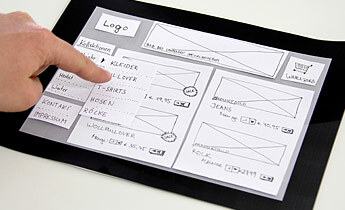 Initial designs or wireframes are sufficient to identify common usability stumbling blocks. In particular, expert analyses performed at an early stage and continuously will ensure that the development of a product does not head off in the wrong direction. From our experience, we can say that an expert review can never completely replace a usability test with real users. For the best results, a combination of an expert review and a usability test is needed. You receive your results within a few days. The fastest way to cost-effectively elevate the usability status quo. 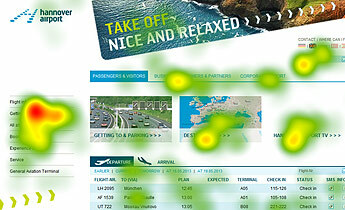 Violations of recognized usability guidelines can be identified and eliminated before the usability test. What can we find out with an Expert Review? Is the wording used adapted to the user? Are commonly-used usability conventions adhered to? Are help and error messages understandable? How well is the user guided through particular processes (e.g., when placing an order)? How quickly and easily do users achieve their goal? How expedient and comprehensible is the selected navigation structure? What results do you receive? You receive the results in the form of a detailed report containing identified usability problems and specific expert recommendations for improvement. On request, we also develop graphical solution suggestions and concepts for problems that are structural or more complex in nature. You can use these directly as a template for implementation and thus significantly reduce the time involved in the implementation process. Do you have specific questions concerning the use of expert reviews in your project? We will be happy to advise you. Free of charge and at no obligation. In a workshop we will present your results and the resulting recommendations for improvement to project participants and stakeholders in your company. In this case, our usability experts are personally available to answer any questions regarding their suggestions for optimization and to support you in the planning of any needed adjustments. Whether your development projects are agile or conventional, the many years of experience of our experts will help you to find customized solutions for your company and product. What do I get out of usability measures?